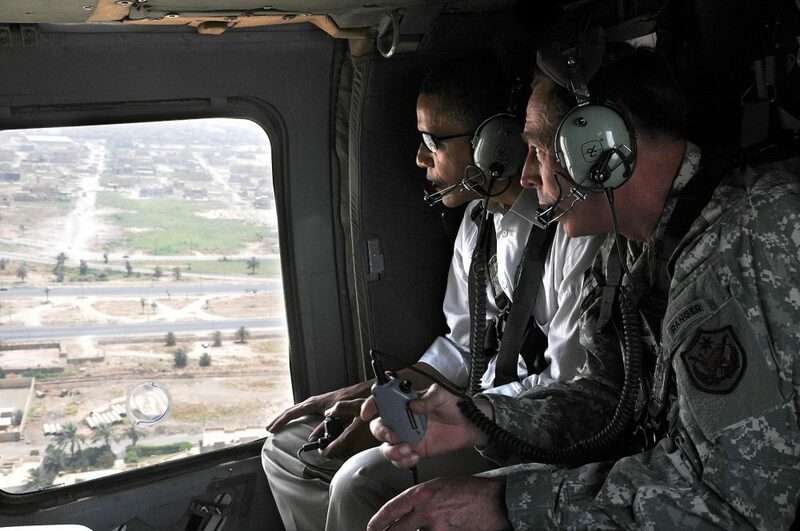 In this July 21, 2008 photo released by the U.S. army, then-U.S. presidential candidate Barack Obama, left, and then-top U.S. military commander in Iraq, David Petraeus, ride inside a helicopter in Baghdad, Iraq. Photo by Ssg. Lorie Jewell, HO/Associated Press. Yet even as technological changes inspire us to speculate on the future of warfare, perhaps the most important insights about the implications of the cyber age can be gleaned from the past. Berggruen Institute, conflict, Cybersecurity, human nature, war, what does war look like in the cyber age?